88 Mouse Creek Rd NW, Cleveland, TN 37312 If you do not see an option please leave a comment in the special instructions box. Thank you so much for your order! Pulled pork, smoked bologna, and chicken fried bacon on Texas toast with choice of slaw and sauce. Monterrey jack, mayo, and mustard. 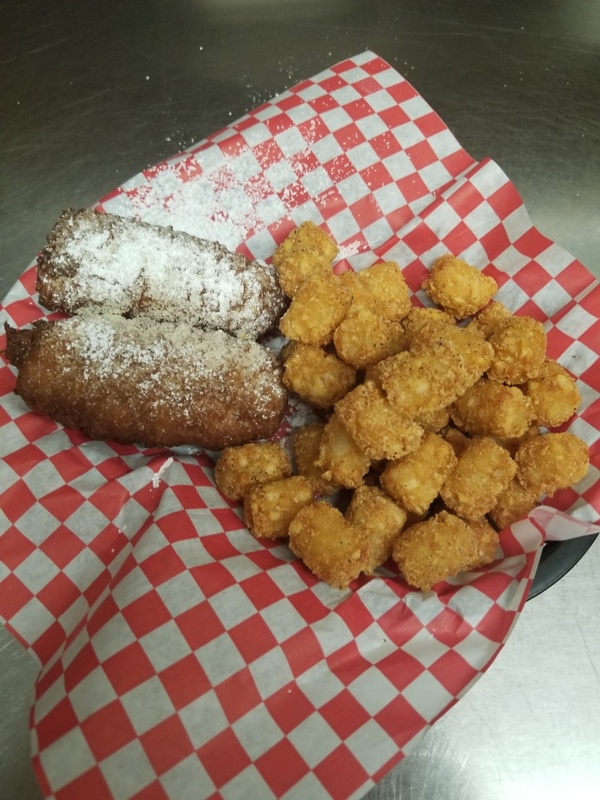 Ham, turkey, & Swiss rolled in thin bread then battered and deep fried. Served with your choice of fruit sauce or pepper jam. Daily specials Tuesday through Friday! Chili, cheese, onion, relish, and slaw. You will find all of your appetizers here! Large scoop of chicken salad on a large house salad. 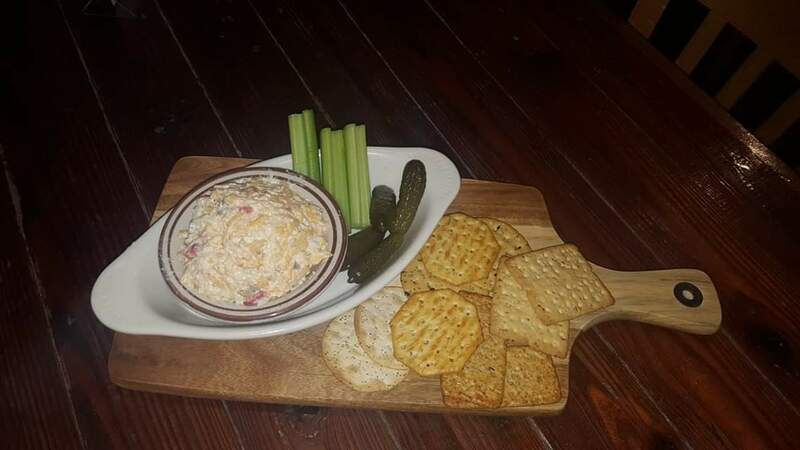 Your choice of pimento cheese or chicken salad served with celery, gherkins, and assortment of crackers. Chicken Salad. 1/2 pint price. Macaroni Salad. 1/2 pint price. 1 pound of pulled BBQ pork. Cole or hot slaw. 1/2 pint price shown. Potato Salad. 1/2 pint price. Baked Beans. 1/2 pint price. Big Tom's kielbasa sub. 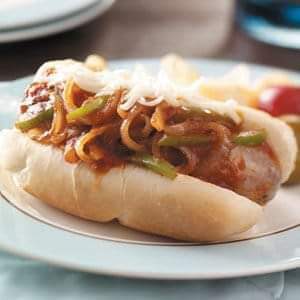 Topped with cooked cabbage, peppers, and onions. Comes with one side. This is marinated, then cooked for hours, so the flavors are amazing!!! Homemade pimento cheese sandwich is far from your normal pimento cheese. It is thick with a kick and definitely delicious!! Available as a half sandwich and whole. Smoked bologna, pulled bbq pork, hot dog, mac and cheese, choice of slaw and sauce. Ham, pulled pork, mustard, pickles, and slaw. Choice of slaw and sauce. 1/2 lb. footlong with chili, cheese, onion, relish, and slaw. Toasted with ham, turkey, mayo, lettuce, tomato, and bacon. Lettuce, tomato, onion, pickle, and mayo. Choice of any four cheeses. Lettuce, tomato, mayo, and mustard. Monterrey jack, grilled onions, peppers, and mushrooms. 1000 island, sauerkraut, and Swiss. Lettuce, tomato, mayo, cheese, and mustard. Lettuce, tomato, onions, pickles, mayo, and mustard. Salami, ham, Monterrey jack, mustard, onions, pickles, lettuce, and hoagie sauce. Pulled Pork Plate with 2 sides. Fried, grilled, or blackened grouper with 2 sides. 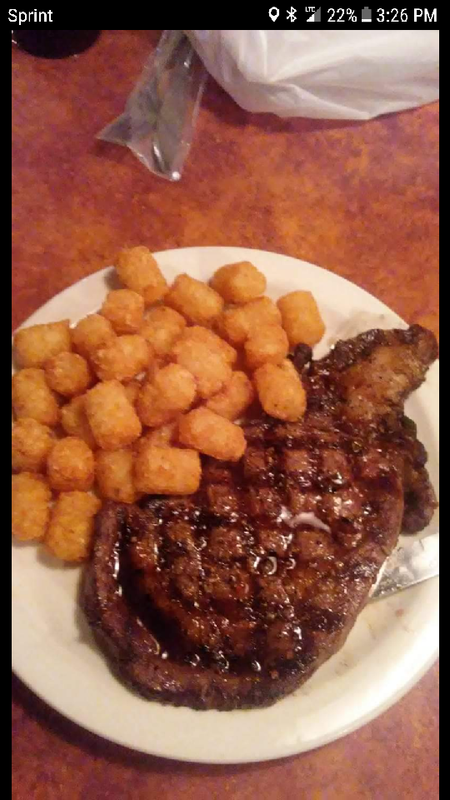 Hamburger steak with 2 sides. Butcher's choice with 2 sides. Fried, grilled, or blackened shrimp with 2 sides. You will find all of your side items here. You will find all the sweet stuff to finish off your meal here! Available in plain, cherry, or strawberry. Served with one scoop of chocolate and one scoop of vanilla ice cream.